The Trudeau Liberals have put out a tender notice looking for someone to build a refugee camp for them on the Canada-U.S. border. 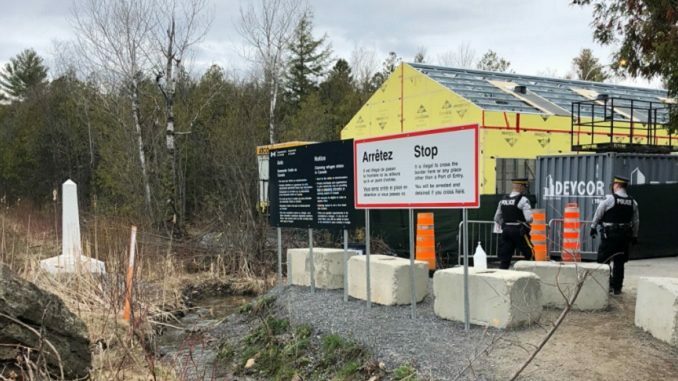 Within the next few weeks the government wants a series of tents and modular buildings to provide sleeping quarters, shower facilities and more at St-Bernard-de-Lacolle, Quebec. The notice went up Thursday afternoon and closes this coming Wednesday. In the notice, the government is seeking temporary housing that can handle 520 people over three seasons. “These facilities will consist of heated, ventilated and illuminated heated canvas shelters for 3-season use,” reads the section of the notice on the sleeping quarters. While people crossing the border illegally at Roxham Road will be housed in tents the modular buildings will be used for quarantine spaces as well as toilet and shower facilities. While the government would like to simply call this some temporary housing, this is clearly a refugee camp on Canadian soil for people fleeing the United States. Did you ever think that Canada would be hosting a refugee camp at the border with America? This isn’t a failure of policy by Donald Trump and his decision to enforce American immigration laws, this is a failure of policy by Canada and one man in particular, Justin Trudeau. Trudeau put out his infamous tweet, #WelcometoCanada and the world took that as an invitation. The people coming across now are not just Haitians that are looking not to be deported but according to the Quebec government the top countries of birth for people crossing include Nigeria, the United States, India and Saudi Arabia. It is well known to officials that many of those crossing at Roxham Road are in the United States solely to travel onto Canada. This is the reason the Trudeau government asked the Americans to reconsider some of their policies on granting visas from certain countries such as Nigeria. Everyone knows people have been landing at airports like JFK or LaGuardia in New York City before making their way directly to the Canadian border. But Trudeau won’t stop this influx, he says he wants to enforce Canada’s border even as he allows this crisis at the border. “Yes, we are an open, compassionate country that understands that welcoming in immigrants and refugees is a benefit to our comm our count our world but that we have rules and a rig immigration system that is applied and will continue to be applied in every single case,” Trudeau said Friday in Cambridge, Ontario. So how can he say those words while allowing the flow of people to continue, increase even, at an illegal border crossing? The Liberals actually argue that since spaces between official points of entry are not covered by the safe third country agreement that everything happened at Roxham Road is legal and part of Canada’s international obligation. They don’t see this as a loophole, this is the system as it should work. Meanwhile, Quebec has complained that their emergency shelters are full, Toronto Mayor John Tory has said the same is starting to happen and a strain is developing on social services in his city and a city councilor in Ottawa said that strain is starting to show in the nation’s capital. In April 2017, 672 people were intercepted by the RCMP while crossing from New York State into Quebec, in April of 2018 officials say the number is at least 2,500 but could be higher. That is almost a four-fold increase. While last year we saw 20,593 people cross illegally, 18,836 of them in Quebec, this year we could see between 60-80,000 if current patterns hold. When Canadians concerned with this problem called on Trudeau to act, none of us thought that meant he would build a refugee camp as the solution. It’s time for a real solution from this prime minister. 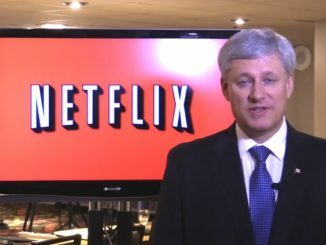 Didn’t Stephen Harper warn us about the Netflix tax the Liberals now want? Silly me. 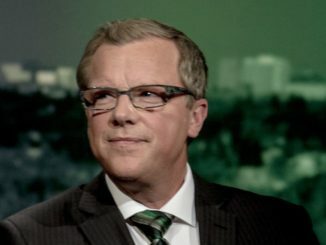 When I visit Canada I bring a passport, cash, credit cards, and my own health insurance, and am always a cheerful, law-abiding, self-funding guest. If I simply cross the border at an undesignated spot and claim refugee status, do I get free stuff? Housing? A check / cheque each month? Only if you’re one of the tater tots favored people, like say anyone not white and nonChristian. If you’re say a Haitian immigrant facing deportation from the US back to Haiti or a moslem than you’re gold in his books, but if you’re a white Christian from Europe or just a regular American citizen than forget it. Simple answer no you don’t You have to qualify as a refugee. Isn’t it against the law to lie to customs officials? Doesn’t that make them law breakers? I have to wonder at how the police officers feel about this. I know the RCMP is a para-military force, but they are still men, and women inside that red serge…baggage handlers, how embarassing!